Identification, Measurement, and Correction of this Error. In Issue 2 of “As the Gear Turns,” we investigated the effects of hob rake error on the gear tooth profile. Rake error is only one of several possible factors leading to tooth profile errors. In this issue, we look at flute spacing errors, which are divided into adjacent and non-adjacent spacing. Both may be introduced into the hob during sharpening and will in turn leave a “fingerprint” on the gear involute. For this issue, we will focus only on adjacent flute spacing error. During hob sharpening, the cutting face of the flute is reground, a sharp cutting edge restored, and proper tool geometry maintained. Equal distance between flutes is of great importance. For example, a 0.63 to 1 m (25 to 40 DP) hob, AGMA Class AA, should not exceed 14 μm (0.00055”) from one flute to the next (Figure 1). If for any reason the flute spacing is out of specification, the hob will generate a lower quality involute. Why is this? A single start hob rotates once to generate the form of one gear tooth. If the hob has 15 flutes, there will be 15 small generating flats on each side of the tooth. Yes, flats. 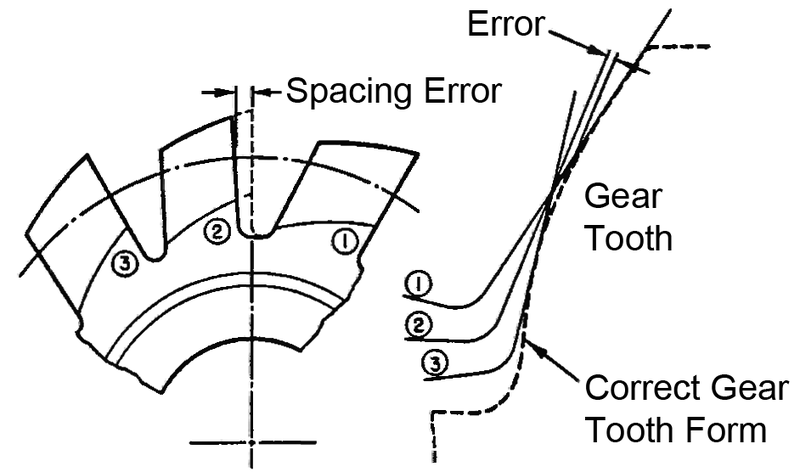 In gear hobbing, the involute curve is an approximation as a result of successive generating flats. 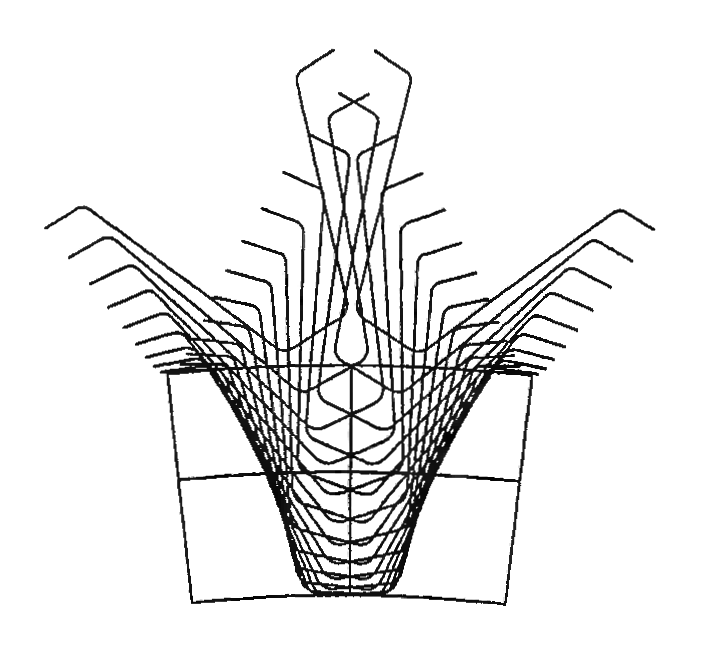 These flats are created by the individual cutting edges of the rotating teeth on the hob (Figure 2). More flutes on a hob will result in a smother generated involute. These flats are typically not visible to the eye due to multiple, simultaneous cutting motions that occur during the generating process. Also note that these flats are more pronounced with spur gears than with helical gears. The spacing error in hob flute (2) is the result of improper hob sharpening. In this case, too much of the tooth face has been ground away. This has produced a widened flute and, thus, flute spacing error. As the hob rotates, each successive tooth is supposed to take a “bite” of material and form a smooth involute curve. But in our case, hob tooth (2) will not remove the correct amount of material. Not only will this spacing error leave a bump (“plus” material) on the involute of every tooth, but it will also put a heavier cutting burden on the remaining hob teeth. Adjacent flute spacing error can be introduced during hob sharpening and is an indication that something may be wrong with the hob sharpener. For example, there may be error in the index mechanism. Flute spacing error can be measured with a hob inspection instrument. Older mechanical checkers with index plates are capable of checking, but they take longer and may be limited to only flute spacing, flute lead, and rake checks. CNC checkers are also capable of checking all geometric attributes of the cutting tool.